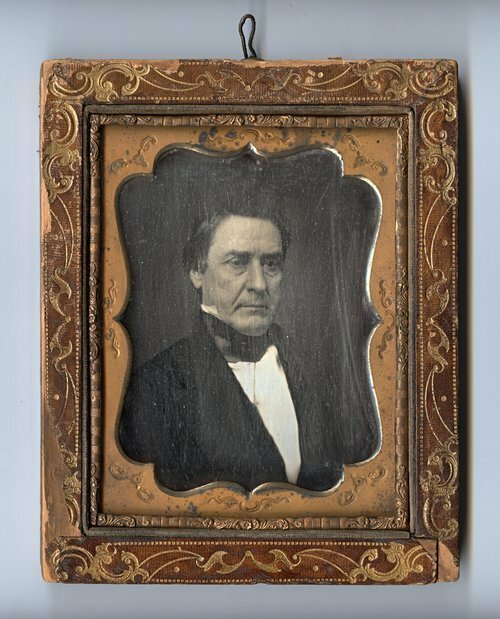 Half plate daguerreotype portrait of David R. Atchison by Jessie H. Whitehurst, probably made in St. Louis, Missouri. David Rice Atchison was a pro-slavery leader from Missouri. He represented Missouri in the U.S. Senate from 1843 to 1855. He was involved in various aspects of the territorial conflict and allegedly rode with the raiders who sacked Lawrence, Kansas Territory, in 1856. The town of Atchison, and Atchison County, were named for him.